Our high school seniors receiving the “Lifetime Achievement Award”, left to right – QuaRon Hilliard, Troy Jones, James McKithen, Christopher Corkly, James Boyd and Jamall Norman. (5 are not shown) Presented by Mrs. Diane Jackson, Felicia McKithen, Coach Bakari Bryant and Mr. Leroy Benton. 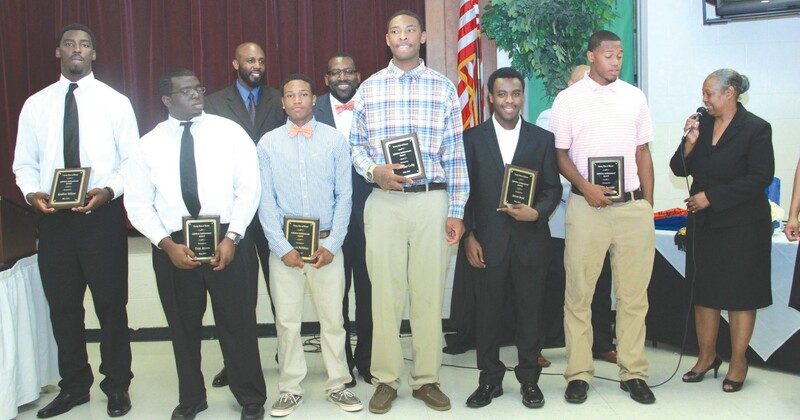 The Young Men of Honor Tenth Annual Awards Banquet was held at Frank W. Spencer, School Sunday, May 18, 2014 using the theme “It’s Your Season”. Dressed for success in their best attire, the young men walked in with heads held high as the parents and family members, administrators and community leaders honored, cheered and applauded them on. Mr. Bakari Bryant, Hershel V. Jenkins 2014 Coach of the Year was the Keynote Speaker. Bryant used enthusiastic and interactive approach to encourage, praise and instruct these great young men to stay on the right path. Mr. Jay Jones of CHANGE, LLC was the Master of Ceremony, while Mr. Leroy Benton of Spencer introduces our speaker. to graduate from Savannah High, Johnson and New Hampstead. Each one of these great leaders received the “Young Men of Honor Lifetime Achievement Award” given for their accomplishments and perseverance in finishing high school and going on to higher learning. 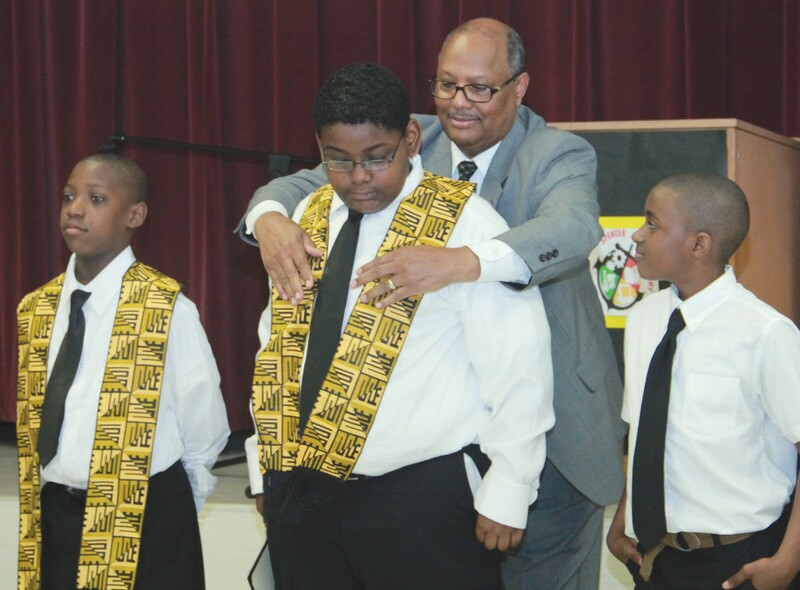 Fifth graders were administered the “Rites of Passage” by Judge James Bass and Dr. Evans of the Alpha Lambda Boule of Sigma Pi Phi Fraternity where they were given a Kente shawl to always remember where they came from, so that they can return and put back into the village. Other students received awards and scholarships as well. Many of the young men have a clear vision of what they would like to accomplish in life, and others are making plans for a brighter future.